"Are remy lace wigs different to other types of lace wigs?" The short answer is that remy lace wigs are lace wigs made with remy hair.... which leads to the next obvious question; what is remy hair? The term remy is a description about the structure of the hair strands (not the type of hairpiece or its origin). Remy is about cuticles and the direction in which the point. If all of the strands of the human hairpiece that you buy (whether a weft hair, wig, pre-tipped extension etc) still have their cuticle layer and if all hair strands point in the same direction then the hairpiece is made from remy hair. Remy hair is therefore less prone to tangling or matting which for any hairpiece is a plus. Before moving on, there's something else to remember in relation to tangling: all natural growth hair would qualify as "remy hair" and yet every hair single type of hair texture experiences tangling - including naturally straight and wavy textures (the tangle teezer was originally created specifically for those textures). Remy hair is not the same as unprocessed cuticle hair (aka, "virgin" hair or "raw" hair) – as this is hair where the strands all have cuticle layers pointing in the same direction but the hair has not been chemically processed in any way...at all... whatsoever. This includes things like being dyed or coloured (with or without the use of ammonia) relaxed or permed. 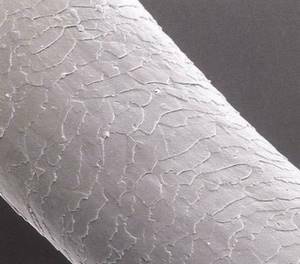 So a remy lace wig is made from human hair that has cuticles which all face the same direction. "What types of remy hair is used in remy lace wigs?" The main issue is that as long as all the hair has the cuticle layer intact and facing the same direction, the hair is considered remy. Remy hair is either single drawn, which means hair strands may be different lengths, or double drawn, which means all strands are the same length. "Where does remy hair come from?" You’ll often see the word remy in the following context “100% Indian remy” but as mentioned earlier, remy is about the cuticle direction of the hair not its geographical origin or the type of hairpiece. Oh and just in case you were unsure, the reason why we state it’s “100%” remy is that there are a number of outlets that mix non-remy and remy hair together and call it remy hair - if our suppliers say something is mixed remy and non-remy hair, then that's how it will be described in the listing. Remy hair comes from many places around the world. The most popular type is Indian remy hair as remy hair from India can effortlessly be transformed into another hair texture and colour which can be easily matched to the majority of ethnic groups. Remy hair can also come from South America (you may have seen a lot of Brazilian unprocessed hair whilst perusing perukes online), Europe and East Asia. So if a human hair lace wig is not a remy (human) hair lace wig, what has happened to the hair? Due to the fact the hair doesn't have to be carefully collected (to ensure the cuticles all face the same direction), non-remy hair is inexpensive. A feature of non-remy is that it’s more prone to tangling than remy hair (there is no such thing as tangle free hair - why else was the tangle teezer created). Our listings will always state whether the hair is 100% remy or not. So if you're after remy lace wigs, check the listing description for conformation of the type of hair used.